Budapest, 1862. On a chased base with embossed knobbed stem that connects to large upper portion. 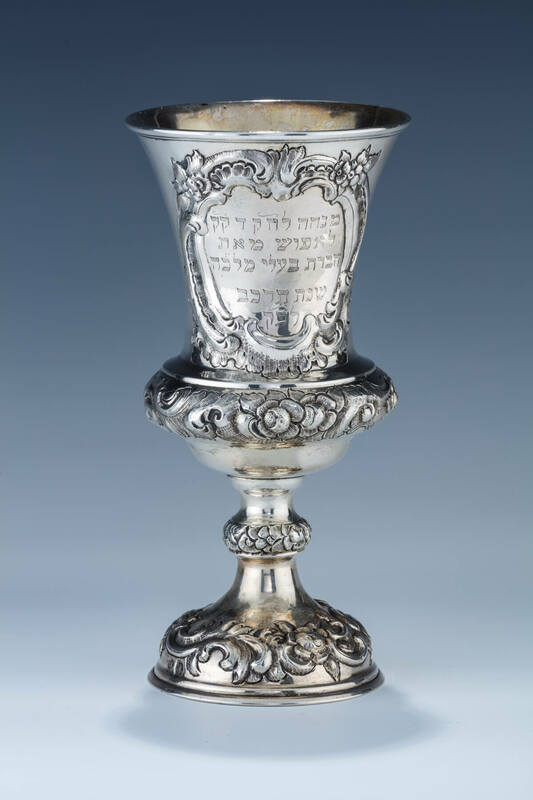 Center cartouche engraved in Hebrew: “A GIFT TO THE CHEVRA KADISCHA OF THE HOLY COMMUNITY OF LEPUSH FROM CHEVRA BAALEI MALKA IN THE YEARS 1862, ACCORDING TO THE MINOR CALENDAR.”. 7.75” tall.